Consider your days of chasing after cabs over. Super Express Taxi solves this problem permanently by providing dependable transportation to those in the Minneapolis-St. Paul area. The Richfield-based cab service features an experienced, friendly team of taxi drivers who know the region very well and get you to your destination safely and on time. Contacting this fantastic taxi service is a quick and easy process. Call one of the cab service’s two numbers to set a pickup time with the company’s Minneapolis dispatcher. You may also choose to email the taxi service regarding pickup times or fill out their convenient website contact form. Cab service is available 24/7 Friday through Sunday and from 5am to 12am Monday through Thursday. The Minneapolis dispatcher or team member on the other end of the contact form will be happy to answer any questions you have about the service, pickup locations, and more. Enjoy the many benefits of scheduling taxi service through Super Express Taxi and eliminate wait time and schedule interruptions. You’ll get to where you’re going quickly and safely thanks to exceptional standby service. Additionally, drivers employed by Super Express Taxi speak Spanish as well as English for optimal customer convenience. Give yourself the gift of friendly, prompt, timely cab service when you choose Super Express Taxi. They always make private transportation a comfortable, streamlined, and seamless process! 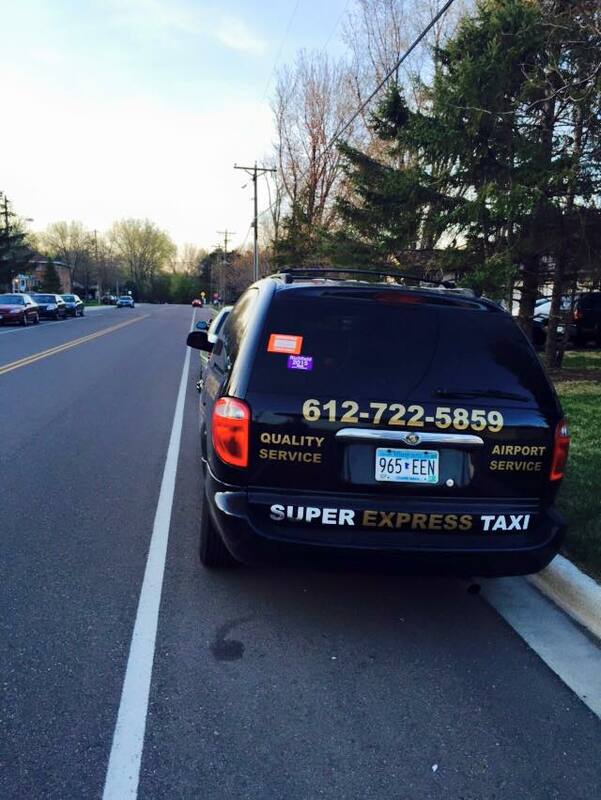 Schedule cab service or learn more about Super Express Taxi by calling (612) 722-5859 or visiting the website today. You may also call (612) 722-3532.